Attractions like Jenolan Caves and Canyoning & Rappelling Tours make great kid-friendly stops. 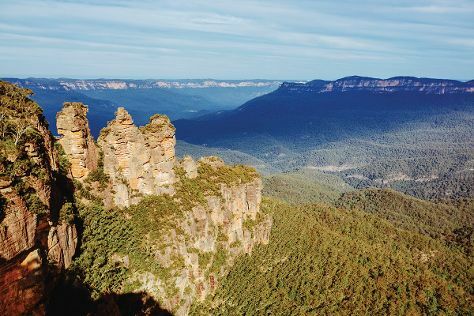 And it doesn't end there: take in the dramatic scenery at Wentworth Falls, make a trip to Echo Point Lookout, get to know the fascinating history of The National Pass, and hike along The Giant Stairway. For reviews, ratings, other places to visit, and tourist information, go to the Katoomba tour itinerary planner. Sydney to Katoomba is an approximately 1.5-hour car ride. You can also take a train. In December, plan for daily highs up to 34°C, and evening lows to 19°C. Cap off your sightseeing on the 28th (Fri) early enough to go by car to Dubbo. On the 29th (Sat), steep yourself in history at Old Dubbo Gaol, admire nature's wide array of creatures at Taronga Western Plains Zoo, and then make a trip to Alladins Cave Bottle House. To find ratings, maps, photos, and tourist information, read our Dubbo trip site . Drive from Katoomba to Dubbo in 4 hours. Alternatively, you can take a train; or do a combination of train and flight. Traveling from Katoomba in December, you will find days in Dubbo are a bit warmer (38°C), and nights are about the same (19°C). Finish up your sightseeing early on the 29th (Sat) so you can travel to Hervey Bay. On the 30th (Sun), tour the pleasant surroundings at Esplanade and then see majestic marine mammals with a dolphin and whale watching tour. To find reviews, maps, and tourist information, use the Hervey Bay online trip maker . Fly from Dubbo to Hervey Bay in 4.5 hours. Alternatively, you can drive; or take a bus. Traveling from Dubbo in December, expect nights in Hervey Bay to be a bit warmer, around 23°C, while days are a bit cooler, around 34°C. Wrap up your sightseeing on the 30th (Sun) early enough to travel to Ipswich. Ipswich is an urban region in south-east Queensland, Australia, which is located in the south-west of the Brisbane metropolitan area. 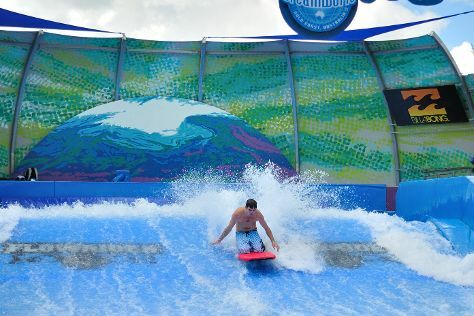 Kids will appreciate attractions like Dreamworld and Wet 'n' Wild Water World. Change things up with these side-trips from Ipswich: Currumbin Wildlife Sanctuary (in Currumbin), Robina Town Shopping Centre (in Robina) and Oxenford (Paradise Country & Warner Bros. Movie World). Next up on the itinerary: look for gifts at Cuckoo Clock Nest and admire the landmark architecture of St Marys Catholic Church. To find other places to visit, where to stay, photos, and other tourist information, you can read our Ipswich road trip planning website . Traveling by car from Hervey Bay to Ipswich takes 4 hours. In December in Ipswich, expect temperatures between 36°C during the day and 20°C at night. Finish up your sightseeing early on the 3rd (Thu) so you can travel to Coffs Harbour. 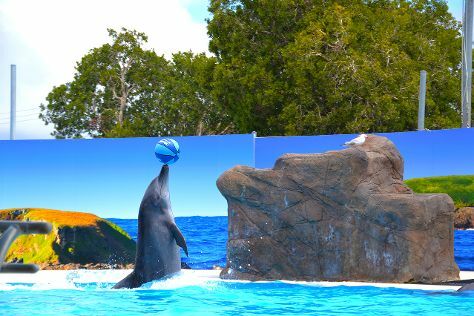 Start off your visit on the 4th (Fri): meet the residents at Pet Porpoise Pool - Dolphin Marine Magic, appreciate the history behind The Big Banana, then get great views at Forest Sky Pier, and finally enjoy the sand and surf at Diggers beach. Get ready for a full day of sightseeing on the next day: make a trip to Cunningham’s Big Bunch, identify plant and animal life at Coffs Harbour Butterfly House, and then tee off at Bonville Golf Resort. To find where to stay, maps, other places to visit, and other tourist information, read Coffs Harbour road trip planning website . Getting from Ipswich to Coffs Harbour by car takes about 5 hours. When traveling from Ipswich in January, plan for little chillier days and about the same nights in Coffs Harbour: temperatures range from 31°C by day to 23°C at night. Wrap up your sightseeing on the 5th (Sat) to allow time to travel to Armidale. Armidale is a city in the Northern Tablelands, New South Wales, Australia. 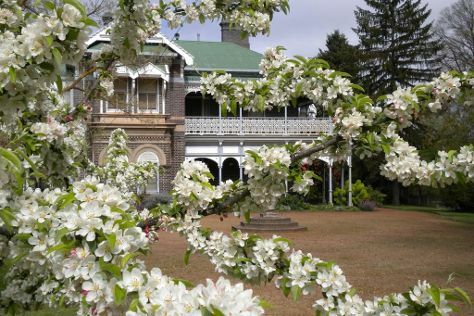 Start off your visit on the 6th (Sun): steep yourself in history at Saumarez Homestead, pause for some serene contemplation at Saints Mary and Joseph Catholic Cathedral, then explore the world behind art at New England Regional Art Museum, and finally take a memorable drive along Waterfall Way. To find photos, traveler tips, where to stay, and more tourist information, read our Armidale holiday planner. You can drive from Coffs Harbour to Armidale in 2.5 hours. Finish up your sightseeing early on the 6th (Sun) so you can travel to Tamworth. Tamworth is a city in the New England region of New South Wales, Australia. Start off your visit on the 7th (Mon): perfect your strike at Strike bowling bar, appreciate the history behind Truck Drivers Memorial, and then take some stellar pictures from Oxley Scenic Lookout. To see maps, traveler tips, other places to visit, and more tourist information, read Tamworth journey maker . Getting from Armidale to Tamworth by car takes about 1.5 hours. January in Tamworth sees daily highs of 38°C and lows of 20°C at night. Finish your sightseeing early on the 7th (Mon) to allow enough time to travel back home.